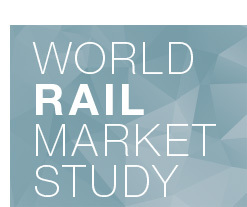 The 7th edition of the World Rail Market Study - the largest study of its kind! Digital version of the seventh edition of the UNIFE World Rail Market Study - the largest study of its kind. Printed version of the seventh edition of the UNIFE World Rail Market Study - the largest study of its kind!